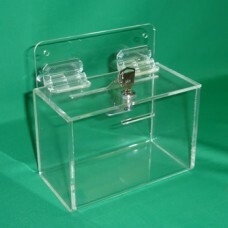 Wall Mount Collection Box made from 1/8" thick clear acrylic material. 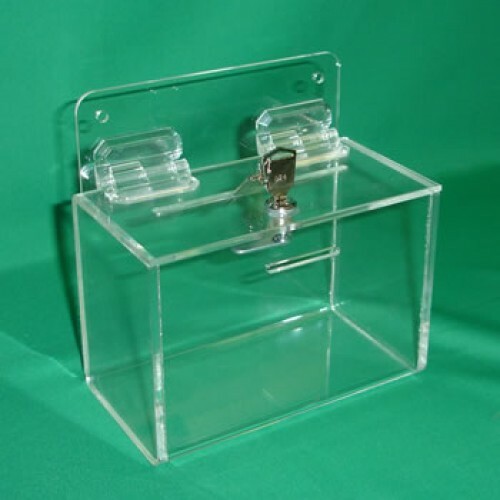 Each box comes with a cam lock and two keys, each box has two mounting holes (screws are not included). 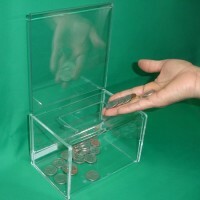 Please call 1-800-878-6144 if you want to purchase a large quantity of the Wall Mount Collection Boxes.